Ships tomorrow if you order in the next 24 hours 2 minutes. 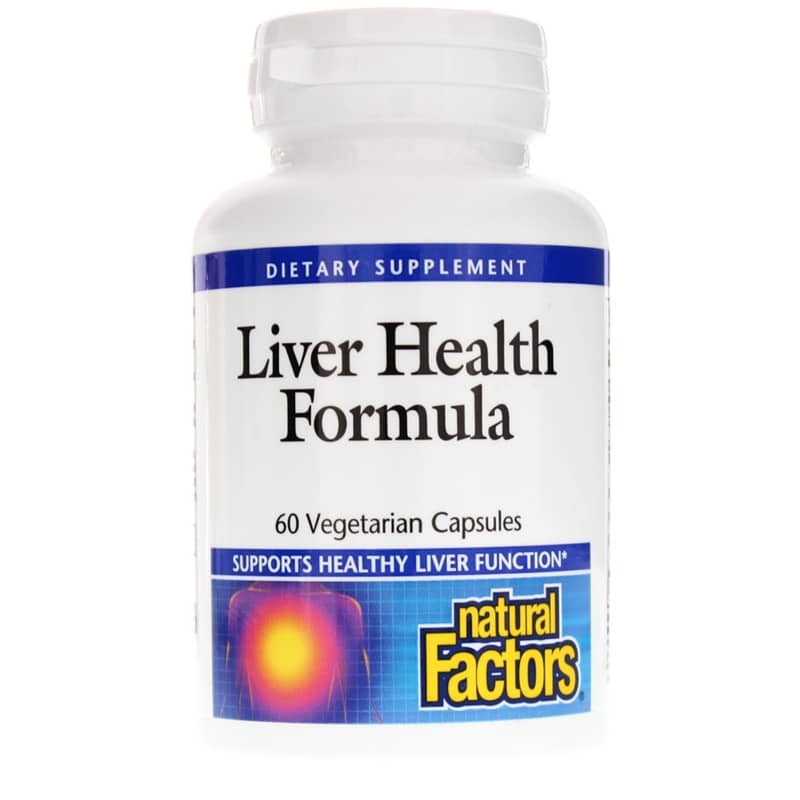 Liver Health Formula from Natural Factors helps supply key substances used by the liver to help detoxify harmful chemicals. Liver Health Formula from Natural Factors has been recommended by Dr. Michael Murray, a highly regarded authority on natural medicines. It contains important phytochemicals that act to protect liver cells from damage to help support normal liver function. 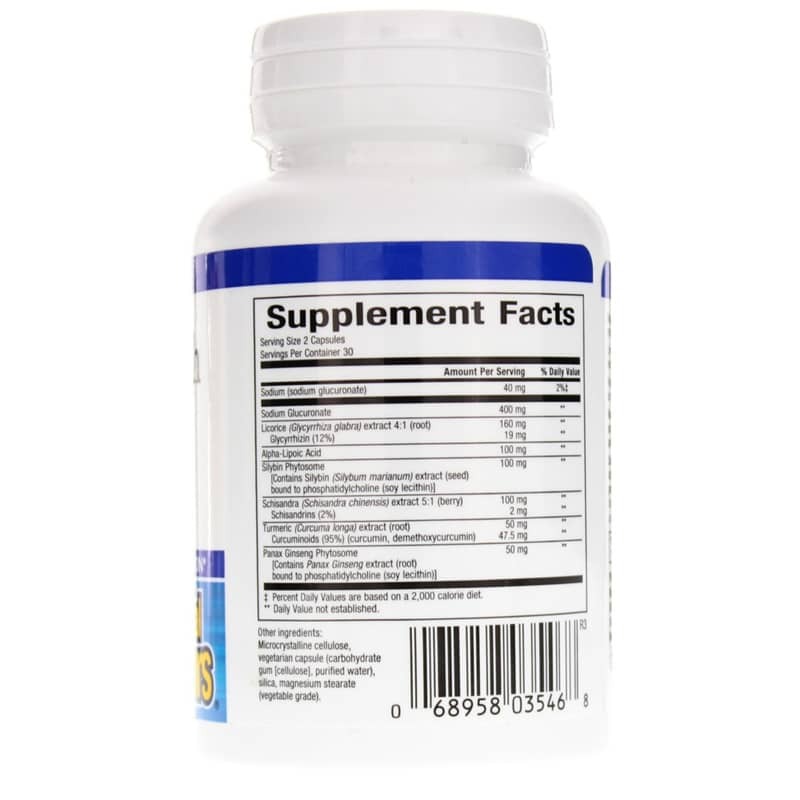 Alpha lipoic acid is an antioxidant that helps eliminate potentially harmful substances from the body. 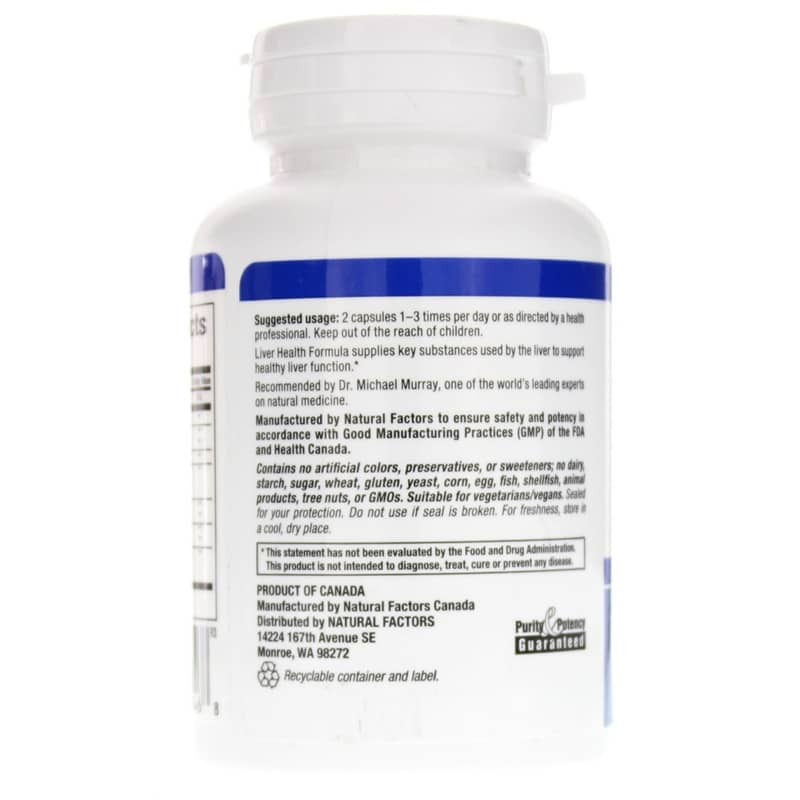 Silybin is a unique flavonoid (antioxidant) complex derived from the milk thistle plant that helps protect the liver. Schisandra may stimulate liver cells and improve liver function. It also helps the liver produce glutathione, an antioxidant involved in the detoxification process in the liver. Turmeric helps support the liver in building new cells. Ginseng helps support the liver in detoxifying harmful toxins. Contains NO artificial preservatives, color or sweeteners; corn, dairy, starch, wheat or yeast. Other Ingredients: microcrystalline cellulose, vegetarian capsule (carbohydrate gum [cellulose], purified water), silica, magnesium stearate (vegetable grade). Contains NO: artificial preservatives, color or sweeteners; NO dairy, starch, sugar, wheat, gluten, yeast, corn, egg, fish, shellfish, animal products, tree nuts or GMOs. suitable for vegetarians/vegans. Adults: 2 capsules 1 to 3 times per day or as recommended by a healthcare professional.